Negative health effects: Mold releases spores and microbial volatile organic compounds (mVOC). These irritate the skin, eyes and respiratory system, while causing allergic reactions and potentially triggering asthma attacks. Asthma patients who also suffer from mold allergies are the most susceptible. Furniture damage: Mold spoils some types of surfaces. Porous objects are particularly vulnerable, since it may not be possible to clean them completely, and the only solution, in this case, is to discard them. Since mold spores are microscopic and carried by air currents, they are almost impossible to eliminate 100% from indoor spaces. An indirect strategy is required to fight mold effectively: it can’t live without moisture, so the best way to eliminate mold is controlling moisture – air humidity, condensation and water leaks must be addressed. This article will provide an overview of the best strategies to control mold in your home. Mold damage in a home, external and internal examples. Air quality monitoring is necessary to fight mold effectively. Keep in mind that mold thrives with moisture while releasing spores and VOCs – all three types of pollutants can be detected by sampling indoor air. Relative Humidity: ASHRAE recommends that relative humidity be kept below 60%, and monitoring is necessary to determine if air moisture is being controlled properly. Spores: Some air purifiers kill mold spores floating in the air. They can no longer hatch but are still capable of triggering allergies and asthma attacks. Microbial volatile organic compounds (mVOC): VOCs have a wide range of harmful effects, which includes irritation and allergic reactions. Severe illnesses may also develop with long-term exposure to VOCs. Foobot is powerful and versatile air monitoring solution, capable of measuring relative humidity while detecting VOCs and particles with diameters as small as 0.3 microns. Although it does not detect spores directly, it can pick up microbial VOCs that are characteristic of mold growth. In general, mold is easier to detect than other air pollutants, but that does not mean it should be taken lightly! Although spores are too small to be seen, mold patches are evident and the VOCs they emit have a unique smell. However, mold can sometimes grow in areas hidden from plain sight, such as air conditioning ducts, attics, basements and crawlspaces. With air quality monitoring it is possible to find evidence of hidden mold: if the relative humidity is above 60% mold growth is likely, and the detection microbial VOCs can confirm its presence. Once you have cleaned mold and have controlled indoor humidity, an air monitoring system remains a powerful tool keep mold under control. If air humidity rises, you will know immediately and can act fast to prevent mold from growing again – keeping air humidity low is generally much less expensive than cleaning mold and discarding damaged furniture. 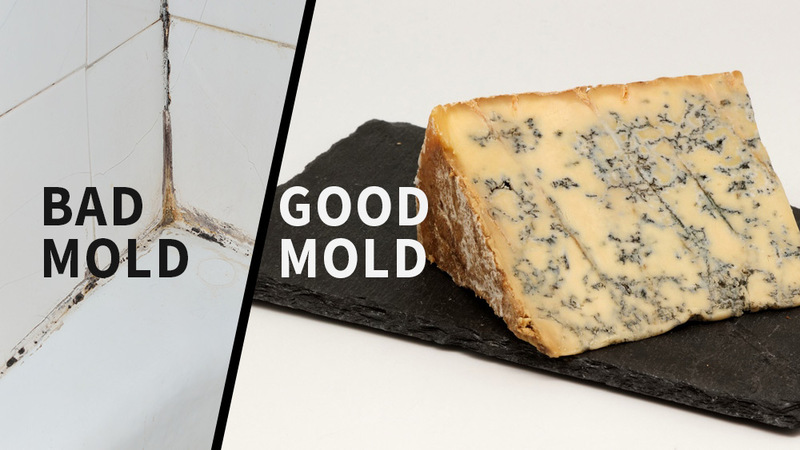 If you visit the website on mold by the US Environmental Protection Agency, you will notice that they emphasize the relationship between mold and moisture. Basically, mold is alive and it requires moisture to stay alive and spread; controlling humidity is easier and more cost-effective than cleaning mold on an ongoing basis. However, humidity should not be reduced to extreme levels: ASHRAE does not recommend going below 30%, since extreme dryness can be as harmful as excessive moisture. Although low humidity kills mold, dust mites and bacteria, it can cause skin irritation and favors the spread of some viruses. In addition, many pollutant particles stay airborne for a longer time when the air is very dry. Air conditioners not only reduce indoor temperature, they also condense and capture the moisture in the air. However, dehumidification is only effective if the AC unit is properly sized; an oversized system cools the air rapidly but does not leave enough time for moisture to be condensed and removed, creating a damp and cold environment that is favorable for mold. A dehumidifier can be used instead of an air conditioner if you don’t require cooling. Some AC units can be configured to provide both cooling and dehumidification, or only dehumidification, depending on variable weather conditions throughout the year. Bathrooms, kitchens, clothes driers and other key sources of humidity should be vented directly outdoors. Removing the moisture they emit with air conditioning or dehumidification has an higher energy cost, and even this may not be enough to control mold close to moisture sources. 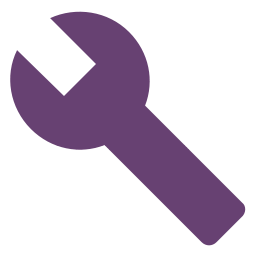 Find and fix any water leaks inside your home. Cold surfaces such as windows and water piping should be insulated to prevent condensation and mold growth on their surface. Avoid installing carpets close to humidity sources. Mold only requires a few hours to start growing on a moist carpet, and removing it completely can be very difficult or even impossible; if a carpet is severely infested with mold, it must typically be discarded. A vapor barrier is very important when a carpet is installed above concrete, or mold can accumulate away from sight in the layer between the carpet and the concrete slab. Keeping HVAC equipment mold-free is very important. Air conditioning evaporator units are especially vulnerable, since they condense and capture moisture. 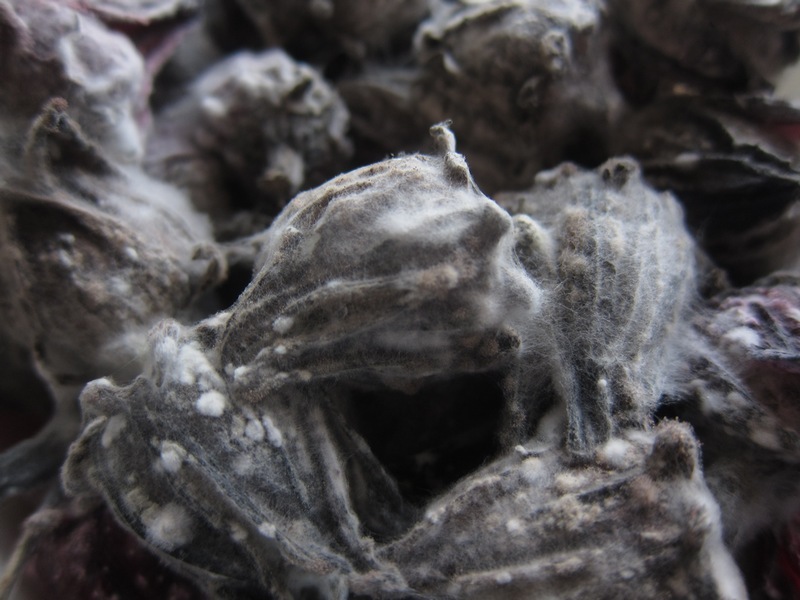 A moldy evaporator basically gives spores a free ride to other building areas. Mold remediation for HVAC equipment should always be carried out by professionals – specialized knowledge of HVAC components is necessary to clean them effectively. Find out what happened to Scott and his house​ which combined both +60% humidity levels and filthy air ducts here. If you find mold growth in your home, the first step is deciding between cleaning it yourself or hiring a mold remediation company. The US EPA suggests professional remediation for any mold growth larger than 10 square feet, of if there has been extensive water damage. Most international standards agree that occupants can clean mold on their own if the area does not exceed 1 m2 (roughly equivalent to 10 ft2). The US EPA has a guide for mold remediation in schools in commercial buildings, but it applies for large-scale residential infestations as well. Unless you are a mold remediation professional, we strongly advise you do not attempt to clean a large-scale mold infestation by yourself, even after reading the guide – use it for informative purposes only. Keep in mind that mold damages many types of surfaces, so if you find mold growth, act quickly! Remember that furniture and other porous objects may need to be discarded if the mold growth has spread deep inside them. Humid furniture should be cleaned within 24-48 hours to keep mold at bay. When dealing with hard surfaces, water and detergent are generally enough to remove mold completely, but don’t forget to wipe the surface dry after finishing. Bleach will kill mold growing on non-porous surfaces like glass, tiles, bathtubs and counter tops. However bleach cannot completely kill mold growing in non-porous materials like drywall and wood. The process is trickier for porous media and absorbent materials, and professional mold remediation is generally the best option. Dry porous objects that are only affected by superficial mold growth can often be cleaned with a vacuum cleaner equipped with a HEPA filter (high-efficiency particulate arrestance). Severely infected porous objects must generally be discarded and sealed in polyethylene bags to prevent spreading spores. If you want to save a mold-infested object due to sentimental value, look for professional remediation. If you will be present during mold remediation, don’t forget to protect yourself with an N95 respirator and goggles. For small-scale mold removal you plan to do by yourself, also use rubber gloves in addition to the respirator and goggles. Be especially careful when looking for hidden mold: large patches that are hidden from sight may release a massive amount of spores at once when disturbed. 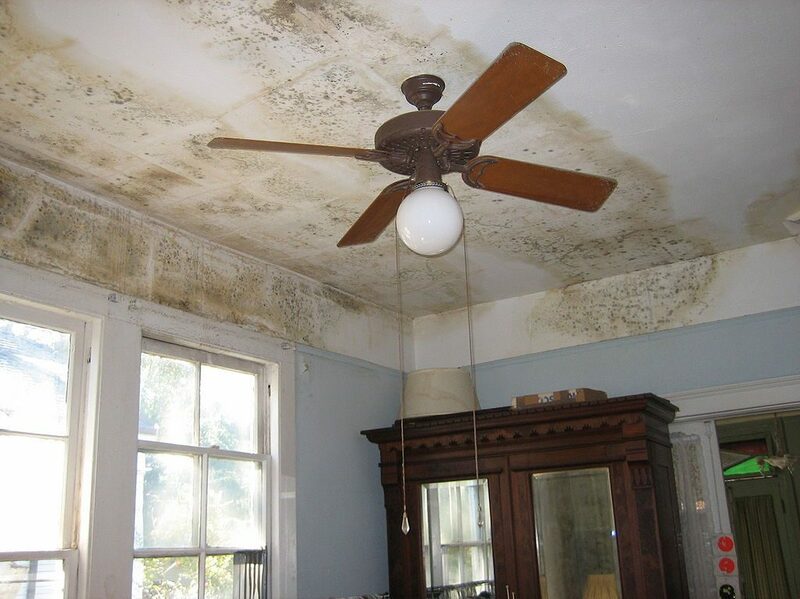 For this reason, professional services are the best choice to deal with a large-scale mold problem. Sensitive individuals should be evacuated before attempting to clean mold; this includes children, pregnant women and any patient with a compromised immune system due to recent or ongoing illness. Remember that air monitoring and moisture control are necessary to fight mold effectively. If you don’t address the humidity problem, mold will simply grow again in areas where its spores have landed. Cleaning mold is a temporary solution to the problem; the only permanent solution is controlling moisture on an ongoing basis. When dealing with mold, avoid measures that don’t address the problem effectively. They are just a waste of time and money. Applying paint or caulking over mold may seem like a quick solution. However, paint and caulking simply peel off when they harden, due to the poor contact with the surface beneath. Mold is killed, but you will have to clean it anyway and then paint the surface again. Ultraviolet germicidal irradiation (UVGI) can kill airborne spores, but this is only partially effective. Dead spores can’t grow, but they cause the same irritation symptoms and allergic reactions as living spores. Fungicides have limited effectiveness for the same reason as UVGI: dead mold spores still cause irritation and allergies. To deal with mold effectively remember that they key is to control moisture, cleaning mold as needed. When dealing with mold growth, make sure you act quickly to minimize damage – hire a professional mold remediation company if the affected area is too large or if mold and moisture damage is severe. Of course, air monitoring is also an important aspect of mold control. When air moisture is high, mold thrives, and your best bet is to decrease relative humidity below the 60% threshold to create an unfriendly environment for mold. You’re welcome Ernest. Yes, keeping humidity lower than 60% is your best bet to remediate mold. In reality, if the area is bigger than 10 x 20 you should really think about using a professional mold remediation company. Trying to take on such a big area could actually cause an infestation in another area. Don’t take a chance.